Sweet Fawn For Gypsy Fairy Gardens. 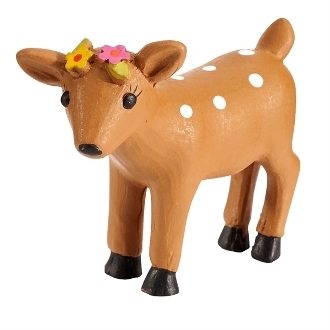 Full Description: This sweet fawn is the perfect addition to your mini enchanted forest! Made of resin and feaures hand-painted details with all-weather paint.